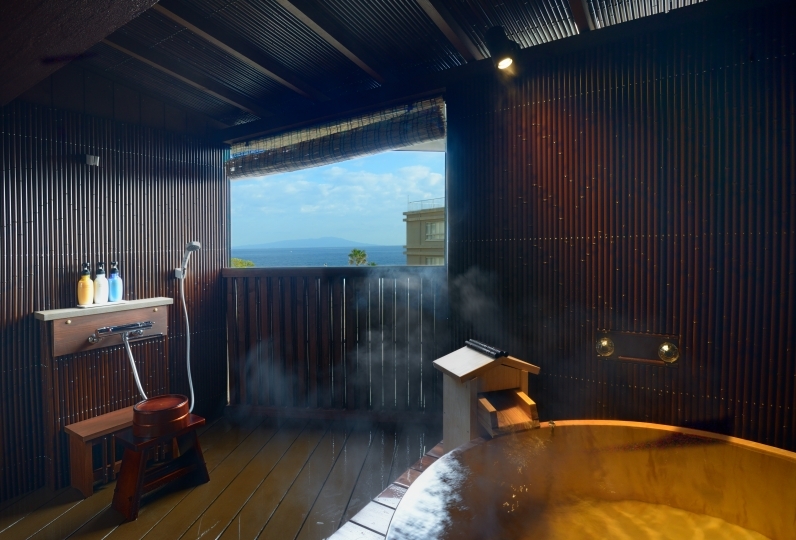 which boasts an outdoor bath with an ocean view overlooking Sagami Bay. All rooms enjoy an ocean view where you can appreciate the beauty of the four seasons. The premium area "Qoomo" opened in December 2017. In the daybed cabins, we offer a fancy relaxation space where you can enjoy the allure of the sky and the sea, as well as the clouds drifting on the horizon. while soaking in a superb panoramic view in the heated bath. Why not try this immersive experience? which are surrounded by the beauty of both the sea and the sky. Enjoy a herbal bath, orange bath, tea bath and other unique baths as well. 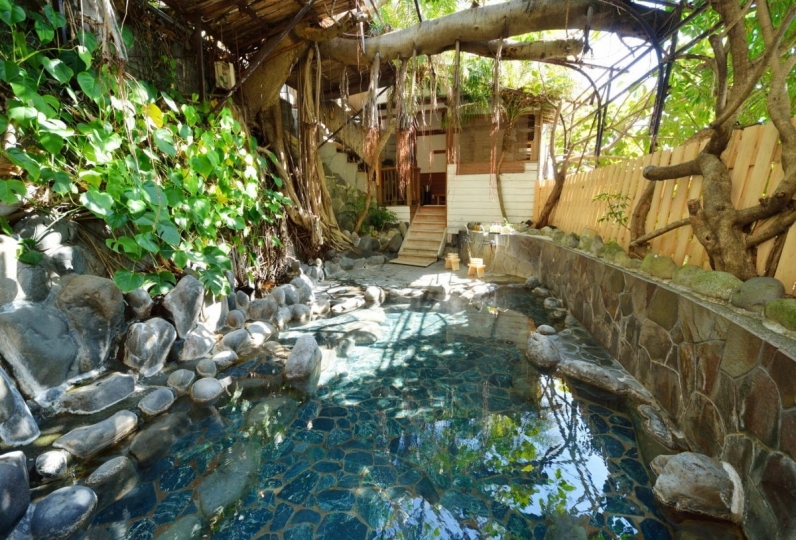 For those who would like to enjoy more hot springs, "kokochiyoku" is recommended. while enjoying the fragrance of herbs and citrus. Meals are prepared with ingredients unique to Izu, particularly seafood. Spend quality time with the ones you love. 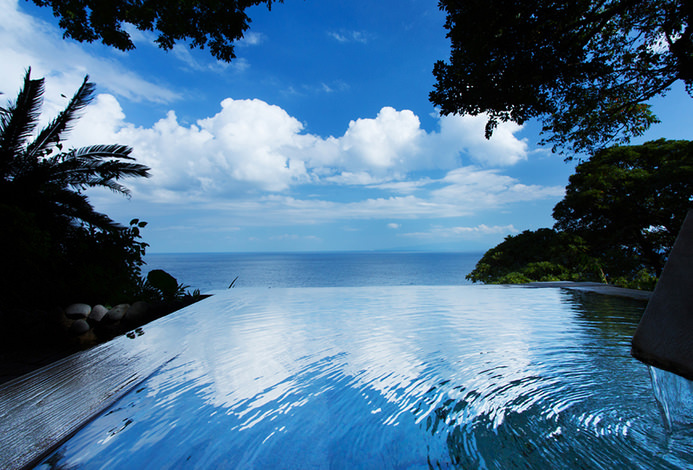 Enjoy a splendid view, hot springs, and cuisine in this bliss. We stayed in a room of the Di bed cabin. The scenery seen from the highest floor of the hill was as pleasant as forgetting the altitude phobia. It was a blissful time to read books while drinking coffee on the terrace sofa, looking down at the hot springs in the city. Also, I would like to ask you to enjoy hot springs and comfortable rooms. thank you for helping me. I was able to do it slowly, it was three days. I could not get enough time, but I was able to go this time, it was really nice. In addition, I will spend time of healing. I'm really thankful to you. We are mostly satisfied with the size of the room, the facilities of the hotel, facilities in the hall, customer service and the food requested in advance, and we are generally satisfied, but there are a large number of beetle insects in the dressing room leading to the outdoor bath in the room, weak insects It seems that it was a bit strict for women. Also when I entered the outdoor bath at night, a huge cockroach came out from the gap between the bath and the wall, and I felt that feeling until then. I'd like you to take some measures. The special feature of the hot springs is the "sulfur fountain" which stimulates collagen production. Also, because it contains sodium chloride, bathing in the springs will guarantee a moisturizing effect on your skin. 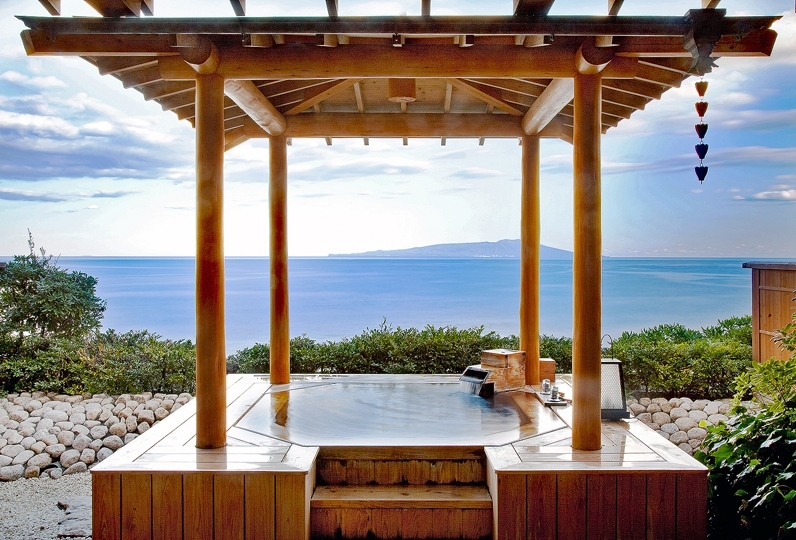 Enjoy the baths "umi-iro" and "sora-iro", as well as a foot bath in the open-air bath. In the orange bath, tea bath, herb jacuzzi... you will surely have a wonderful spa experience at this hot springs hotel. Bath entrance tax (150 yen) not included.